JETHRO TULL, Queen, the SCORPIONS and DEEP PURPLE, were among the honorees at the seventh annual "Classic Rock Roll Of Honour," which was held last night (Wednesday, Novemebr 9) at the world-famous Roundhouse in Camden, England. The ceremony was hosted by KISS bassist/vocalist Gene Simmons. Guitarist Jeff Beck was awarded the highest accolade of the evening, The Living Legend Award, presented by Roger Taylor from QUEEN. * Classic Album Award: THE WHO - "Quadrophenia"
* Album Of The Year: Michael Monroe – "Sensory Overdrive"
Taylor Swift Picks Up Second CMA Entertainer of the Year Award at "The 45th Annual CMA Awards"
NASHVILLE, Tenn., Nov. 10, 2011 /PRNewswire/ -- It was a night of new victors and returning champions at "The 45th Annual CMA Awards" Wednesday night in Nashville. Taylor Swift won her second CMA Entertainer of the Year trophy. Newlyweds Miranda Lambert and Blake Shelton won Female Vocalist and Male Vocalist for the second consecutive year. Jason Aldean won his first two CMA Awards for Musical Event of the Year with Kelly Clarkson, and Album of the Year for My Kinda Party. The Band Perry won their first Awards for Single of the Year for "If I Die Young" and New Artist of the Year. Kimberly Perry claimed an additional trophy for Song of the Year for penning the hit song. Kenny Chesney and Grace Potter won for Music Video of the Year. Lady Antebellum picked up their third trophy for Vocal Group of the Year, and Sugarland won Vocal Duo of the Year for the fifth time. Swift won the Horizon Award (now New Artist of the Year) in 2007 and was named Entertainer of the Year for the first time in 2009. Premiere Radio Networks is the official radio packager of the CMA Awards. Chevrolet(tm) is a Proud Partner of the CMA Awards and Official Ride of Country Music. American Airlines is the Official Airline of the 2011 CMA Awards. Macy's is the official presenting partner of the CMA Awards Red Carpet. Patron Tequila and Ultimat Vodka presented at The 45th Annual CMA Awards. CMA is a Proud Supporter of DRIVE4COPD. LOS ANGELES, Nov. 10, 2011 /PRNewswire/ -- Singer-songwriter Pegi Young will release her third album, Bracing For Impact (Vapor Records), on November 15. She is once again accompanied by her acclaimed recording and touring band, The Survivors: legendary keyboard player Spooner Oldham, bassist Rick Rosas, guitarist Kelvin Holly, and drummer Phil Jones. Pegi Young & The Survivors will appear on Conan on November 16, and are the opening act on the west coast leg of Stephen Stills' tour this month. The itinerary kicks off November 12 at the Belly Up in Aspen, CO, and wraps November 22 at the Grove in Anaheim, CA. Bracing For Impact was produced by Pegi Young with The Survivors, with the exception of the final track, "Song For A Baby Girl," produced by Elliot Mazer (who co-produced Young's debut album). The 11-song album is a powerful showcase for Pegi's elegantly spare and emotionally resonant vocals, and a lyrical sensibility marked by heartfelt expression and unflinching honesty. "I'm just trying to tell some stories and make music that I can get behind," she says, and that plainly stated truth threads its way through every song. Eight of the tracks are Pegi Young originals, with highlights including "Flatline Mama"—featuring a horn section and background vocals from The Watson Twins—"No Heartbeat Sound," and "Trouble In A Bottle." Neil Young wrote the rollicking "Doghouse," and contributes background vocals and harmonica. He is also featured on electric guitar on "Lie" and "Song For A Baby Girl," and on harmonica for "Number 9 Train," written by the late bluesman Tarheel Slim. On "I Don't Want To Talk About It"—a song by Crazy Horse's Danny Whitten—Chandra Wilson adds vocals. Bracing For Impact follows up 2010's Foul Deeds, which Pegi co-produced with veteran multi-instrumentalist Ben Keith (who passed away shortly after the album's release). Her debut album, 2007's self-titled Pegi Young, was described by Allmusic.com as "an intimate, hopeful and melancholy look at life and love from a songwriter who has been there." Pegi Young first became known via her longtime role as backup singer—onstage and on record—for her husband Neil Young. Pegi and Neil, whose son Ben was born with cerebral palsy, founded the non-profit Bridge School in 1986, serving children with severe speech and physical impairments. The Youngs are also the driving force behind the annual all-star Bridge School Benefit concerts. 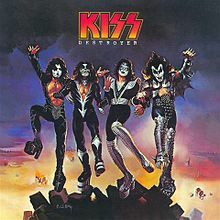 KISS bassist/vocalist Gene Simmons hinted during an interview with the UK digital radio station Planet Rock that producer Bob Ezrin is in the process of remixing KISS' classic fourth album, 'Destroyer' for re-release in 2012. The deluxe edition of the LP will feature outtakes and the original cover art. The founder of Creation Records, Alan McGee, netted $31,200 on Monday (November 7) from the auction of one of John Lennon’s teeth. Fittingly, it was a dentist who paid dearly for the tooth, which had been expected to sell for around $16,000. Lennon had the tooth pulled in the late ’60s, and subsequently gave it to his housekeeper, who saved it as a piece of memorabilia for her daughter. Eventually it made its way to McGee, a music executive who’s managed Oasis and The Libertines, among others. Zuk, who has written a book about the teeth of celebrities, says he plans to put the tooth on display in his office. In 1958, a Billboard Magazine article notes that Beechnut gum's sales have gone up 100 percent since becoming an American Bandstand sponsor. "16 Candles" by the Crests was released in 1958. In 1960, Gregg Allman received a guitar for his 13th birthday. In 1966, the English press broke the news that there would be no more Beatles tours. In 1967, the Beatles shot three promotional videos for their single Hello Goodbye. They couldn't be played on British TV because of lip-synching restrictions by the musicians union. This was written by Justin Hayward, who joined the band the previous year. He got the idea for the song after someone gave him a set of white satin sheets, and wrote it in his bed-sit at Bayswater. Haywood told the Daily Express Saturday magazine May 3, 2008: "I wrote our most famous song, 'Nights in White Satin' when I was 19. It was a series of random thoughts and was quite autobiographical. It was a very emotional time as I was at the end of one big love affair and the start of another. A lot of that came out in the song. "Justin Hayward sold the rights to this song to Lonnie Donegan for a small sum of money, hence Hayward made nothing from it. The Moody Blues recorded the album with The London Festival Orchestra, which never actually existed - it was the name given to the musicians put together to make this album. The orchestral parts were performed separately and edited between and around the Moody Blues parts, so the orchestra did not actually accompany the group. 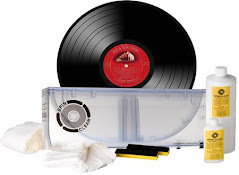 The original idea was for the group and orchestra to record a Rock version of Dvorak's "New World Symphony," which their record company would use to demonstrate enhanced stereo sound technology. When first released in 1967, the song reached # 19 on the UK singles chart, a position that might have been higher were it not for its seven-plus minute length. The song was re-released in 1972 after the success of such longer-running dramatic songs as "Hey Jude" and "Layla," and it charted at #2 on Billboard magazine and #1 on Cash Box in the US, earning a gold single for sales of a million copies and was also #1 in Canada. The song also holds the dubious distinction of the highest complete Hot 100 disappearance from the pre-digital download era, vanishing entirely from the chart after falling to #17. The spoken-word poem, which is heard near the six-minute mark of the album version of the song, is called "Late Lament." It was written by drummer Graeme Edge and was read by keyboardist Mike Pinder. On 'Days of Future Passed,' the poem's last five lines bracket the album, appearing also at the end of track 1 ("The Day Begins"). 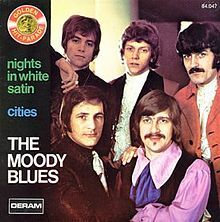 While "Late Lament" has been commonly known as part of "Nights in White Satin" with no separate credit on the original LP, it was given its own listing on the 2-LP compilation 'This Is The Moody Blues' in 1974 and again in 1987 (without its parent song) on another compilation, Prelude. Both compilations feature the track in a slightly different form than on 'Days of Future Passed.' 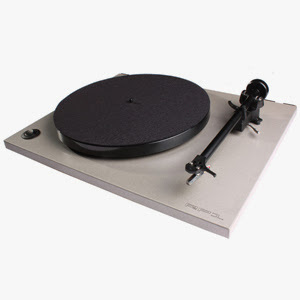 Both spoken and instrumental tracks are given an echo effect. The orchestral ending is kept intact, but the gong (struck by Mike Pinder) that closes the track from the original LP is completely edited out. From 1992 through the early 2000s, the Moody Blues toured with shows backed by live orchestras. While backed by the orchestra, "Late Lament" was often included in the performance of "Nights in White Satin." When it was included, Edge recited it himself, since Pinder was no longer with the band at that point. In 1968, Jefferson Airplane stir up some controversy on The Smothers Brothers Show when Grace Slick, appearing in black face, gives the black power fist salute at the end of "Crown Of Creation". In 1969, "Rudolph the Red-Nosed Reindeer" by Gene Autry received a gold record. The song had been released 20 years earlier. In 1973, former Temptations member Eddie Kendricks scored his only solo, number one Pop hit with "Keep On Truckin". It got as high as #18 in the UK. David Essex's "Rock On" was released in 1973. 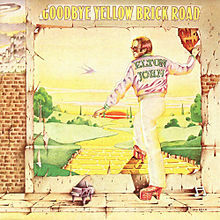 Also in 1973, Elton John started a eight-week run at #1 on the US album chart with 'Goodbye Yellow Brick Road,' the singer’s third US #1. The Clash's second album "Give 'Em Enough Rope," was released in England in 1978. The album would be their first US release. In 1979, the Eagles had the number one song in America with a tune that was co-written by Bob Seger, "Heartache Tonight." It only reached #40 in the UK. In 1984, Frankie Goes to Hollywood set a UK record for most advanced copies ordered of an album. 1,099,500 copies of 'Welcome to the Pleasure Dome' were ordered. In 1990, Ronnie Dyson, who had a Top Ten hit in 1970 with "Why Can't I Touch You", died of heart failure and lung disease. Dyson rose to fame after playing a leading role in the Broadway production of Hair in the late 1960s. Although he continued to record for many years, Dyson could never match the success of "Why Can't I Touch You." In 1994, Robert Plant and Jimmy Page performed Stairway to Heaven on a Japanese TV program, saying it is the last time they will play the song. Thankfully it wasn't. In 1997, American session guitarist Tommy Tedesco died of lung cancer at age 67. Described by Guitar Player magazine as the most recorded guitarist in history, he recorded with The Beach Boys, Everly Brothers, The Supremes, The Monkees, The Association, Barbra Streisand, Elvis Presley, Ella Fitzgerald, Frank Zappa, Sam Cooke, Cher, and Nancy and Frank Sinatra. He also played on many TV themes including Bonanza, The Twilight Zone, M*A*S*H and Batman. In 2002, viewers of the UK music channel VH1 voted Whitney Houston's "I Will Always Love You" as the most romantic song ever. In 2nd place was Willie Nelson's "You Were Always On My Mind" and 3rd was "My Heart Will Go On" by Celine Dion. In 2003, a Johnny Cash tribute concert was held in Nashville with Sheryl Crow, Kid Rock, Steve Earle, Kris Kristofferson and Willie Nelson.